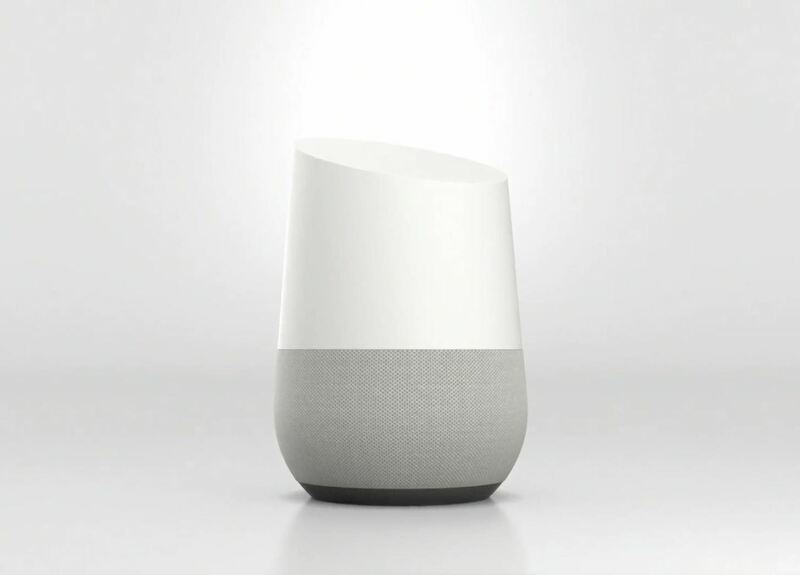 Google first introduced Google Home, its latest smart product in the works, at the company's I/O conference in May 2016. It will directly compete against Amazon's Echo, which has so far been a success with over 3 million devices sold, and it was even featured as FBI Agent Dom's only real friend in the second season of Mr. Robot. Google may have their work cut out for them, but we're betting Home will knock Echo out of the water. 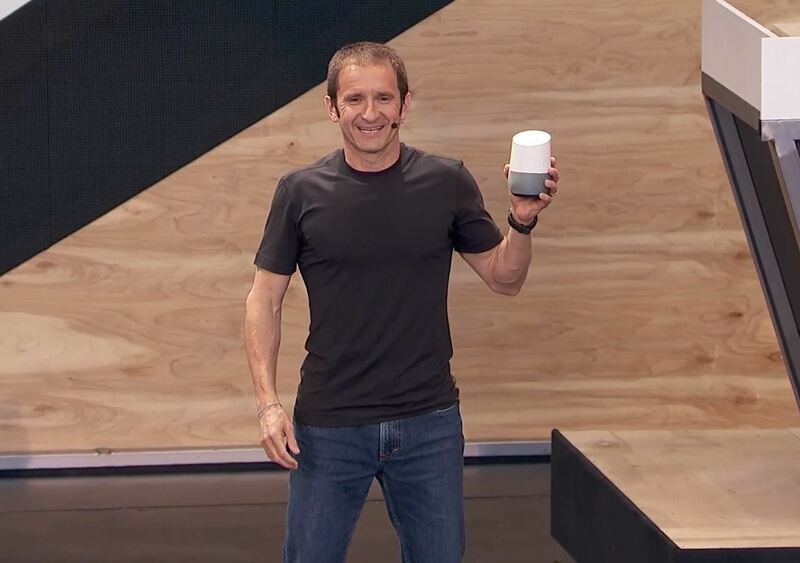 Google Home is a personal assistant with a built-in speaker and microphone that uses Wi-Fi to connect to Google's servers. It is designed to combine three areas into one machine: smart search, personal assistant, and smart home controller. You can ask Google Home anything and it will give you an answer, but the breakthrough is that it will give you a contextual answer. Ask something like "what's our nearest star" and it will tell you it's Alpha Centauri, and if you then say "put it on the TV," Google Home will know what you mean by "it" and bring up appropriate visuals. Which brings us to the second area, smart home controller. 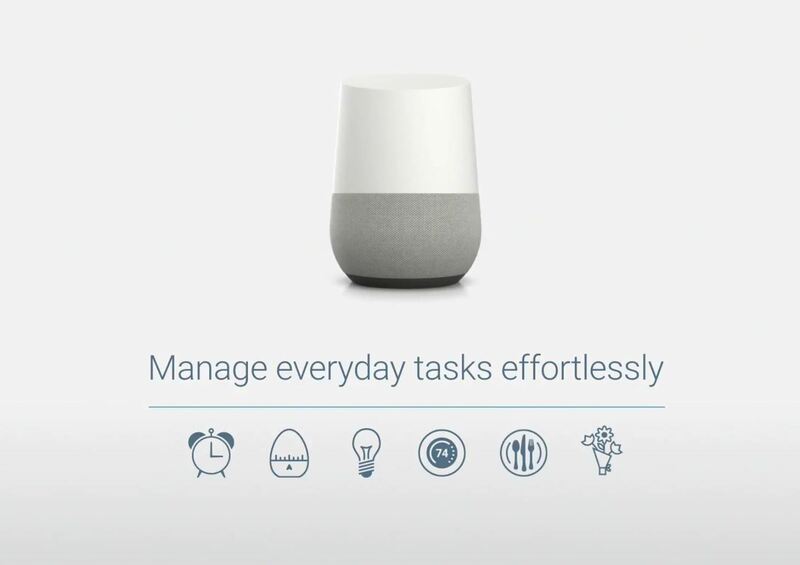 Google Home is designed to be used with popular smart home devices (e.g., Nest). You can hook it up to compatible speakers and tell it to play music in certain rooms using Cast technology, or to turn lights on or off. In a promo video, a kid walks out of his house and says "Okay Google, bye" and everything shuts off: TV, speakers, lights, etc. 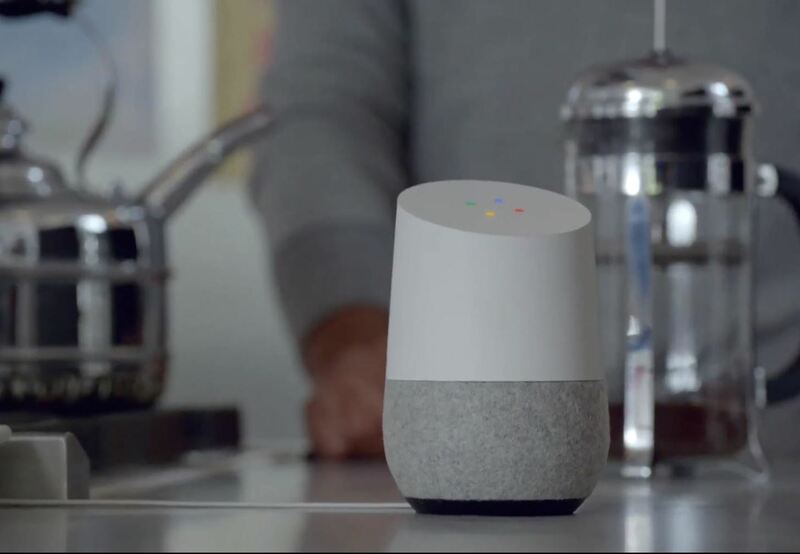 You can control Google Home with your voice or with Google Cast on your Android or iOS device. The third is personal assistant. With your permission, it will collect and organize data to see what you're doing day to day and help out. In the same promo video, Google Home makes a ping sound and tells a woman that her flight has been delayed by half an hour. 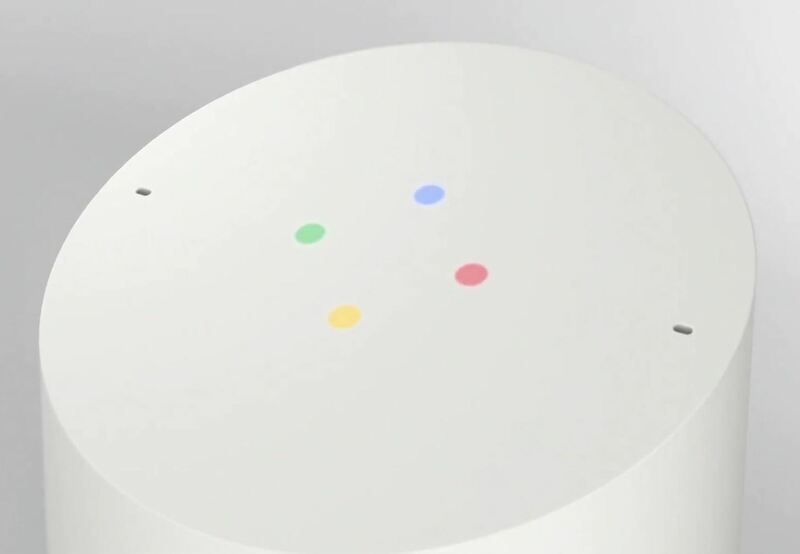 The video suggests more contextual commands, such as the woman saying a general "change my dinner reservations" and Google Home knows where you were having dinner and when that was. The built-in speaker promises "rich bass and clear highs" according to the keynote, and its microphone is designed to work just as well across the room. There will also be interchangeable bases with different colors and materials (e.g., metal and fabric) to match your home's vibe. 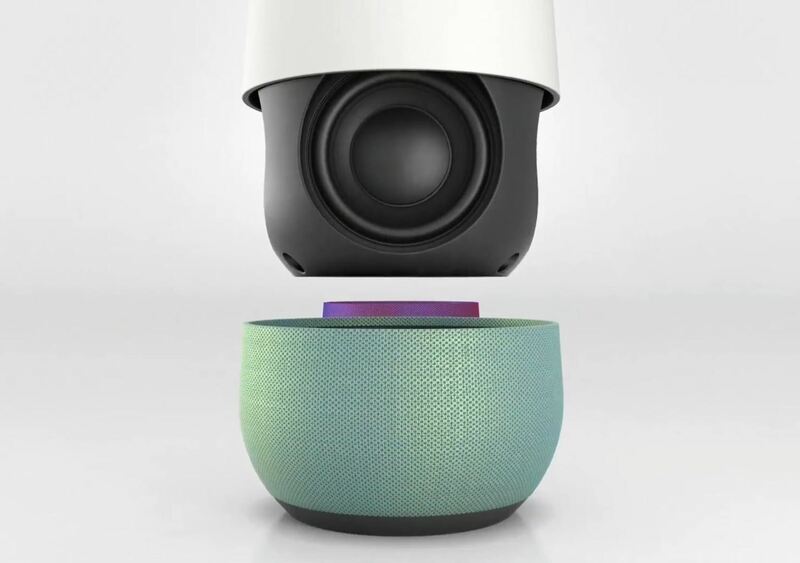 Google Home is a natural extension of Chromecast, so it can access your music and movies in the cloud. If it's price right, Home could overtake the Echo no problem. It will be available "later this year," and you can check out the official page here. It's possible that it could be released around the same time as Android Nougat and the new Nexus phones, which is just a few months away, but it's likely that it'll be out a few months afterward. I'm so suspicious of all of these kinds of devices. If a wifi car can be hacked while it's on the road moving, it seems it would be a simple matter to hack a wifi home controller sitting in one place, enabling you to open doors, mess with the temperature, whatever you wanted, to a house that's not yours. Or even less high tech, just stand outside someone's front window while they're not home and yell "OK Google, unlock the front door" lol.